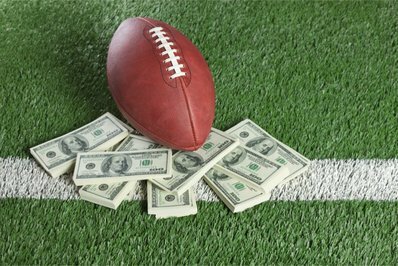 As the football season opened last week in the United States, state governments were lining up to take advantage of sports betting. Lawmakers quietly touted the virtues of legalized betting—-they claim it will provide a lot more money to spend on their pet projects or believe it will—with little examination of the consequences of governments strongly pushing something that was once frowned on by most Americans. No one can stop gambling. It is seemingly in the DNA of many of us. But when governments start endorsing and pushing it, one can see how a culture can change for the worst. Indeed, we are all worse off when millions of Americans forget or reject the values of thrift and self-improvement of our parents and grandparents. Never forget that these are the people on whose shoulders we stand; the people whose savings, work and values made a better life for us. That’s because they overcame incredible barriers. (I haven’t forgotten my own experience. The two sides of my family came here from Austria-Hungary and Ireland. The former dirt poor, living in a German ghetto on the East Side of New York City that some called Little Bavaria. The latter were political refugees who were just one step ahead of the persecutions of the mighty British Empire). Most of our grandparents believed in something many Americans today explicitly or tacitly reject. What were our grandparents’ values? That the road to a better life comes from thrift and consistent hard work, they believed. It doesn’t come from betting a bundle on whether the Green Bay Packers or Chicago Bears will win a critical game or betting on some numbers in the lottery. “Numbers,” in previous generations, were something run by organized crime families. Today most governments, oblivious to the dangers of this supposed overnight wealth and facing huge deficits because they have been over-promising for many years, think they have found fiscal utopia in sports betting. They will use it to expand government even more. God forbid any government should ever cutback; should learn to do what responsible people often do: Get by with less. Most governments are now expecting sports betting will finance their seemingly never-ending expansions. Yet sports betting was once opposed by most big sports leagues for obvious reasons. Competitive sports might be viewed as another version of wrestling if games were perceived as fixed. Indeed, with massive sports betting almost every late score in a game could be viewed with suspicion. But the irony of the pols’ recent embrace of sports betting as the solution to their overspending and red ink is in my youth: As a young man in the early 1970s, I remember the first state lottery games in New York State. Even back then, some 50 years and 50 pounds ago, I remember New York, under the reckless spending habits of then governor Nelson Rockefeller, nearly went broke. The city was also recklessly run. It also came close to defaulting on its bonds. Yet New York State, about a half century after its lottery games, still has some of the highest debt levels in the United States. Back then I remember pols promising that state lotteries would generate huge amounts of new money for the state. So much new money would come in, some of them raved, that various state taxes would be eliminated at the same time that state services could be expanded. The sad fact was, as I discovered in a piece on state lotteries I wrote years ago for the Mises Institute, that this promise was never kept. Yes, state lotteries generate tremendous revenues. This is the result, in part, of relentless dishonest radio and television advertising. It is advertising that promises all sorts of rewards for the gullible, even though no odds on the chances of actually winning a substantial prize are published for obvious reasons. However, the lottery’s actual profits—what is left after everyone is paid—are rather skimpy. Despite the new lottery money, New York State taxes and debts didn’t decline over the last half century. They rose to some of the highest levels in the nation. The promise of politicians wasn’t kept. What else is new? But there is a more profound, long-term problem that comes from state lotteries, casinos and now sports betting. It can contribute to a sea change in a society’s values. The culture of self-improvement is damaged. The values of a people who believe that each person should strive to improve himself or herself are weakened or lost. By the way, no one ever said that this culture of self-improvement meant every person’s life was better. But it was in the striving—in the effort of everyone to try to do better—that societies improve. It was the football coach Vince Lombardi who said it was the effort to be perfect, even though it was an unachievable goal—that leads to better lives for many. By the way, the OTB “business” in New York City was so badly run—-it was staffed with many political flunkies—-that it had to close down. The “house” went bust. Only governments trying to run businesses could do something like this; take a private business where profits should be easy to obtain, since most horseplayers lose, and lose tons of money (A critic of Soviet socialism once said that, if the Soviets took over the Sahara Desert, there would soon be a shortage of sand). Avoid the gimmicks and the voluntary higher taxation of the state’s various bread and circuses. However, if you have to join the sports betting craze, then do it with a plan. The plan should include strict limits on what you bet. And the betting should never interfere with the important things in your life. These things that put you on the road to financial independence include investing on a regular basis over long years, letting compounding make you rich and always having enough money to pay off credit card debts each month. Doing these things will ensure that we are honoring the best traditions of our grandparents. You will be preserving a culture of self-improvement that allowed most of us to live a lot better than previous generations. And passing on these traditions to your children will mean they enjoy a higher standard of living than you and not worry about a random number in some state sponsored game that is stacked against them.